Lasting Memories Blog will be hosting challenges about transportation all month, and I've been racking my brains to figure out how to play along using my Yosemite pictures. 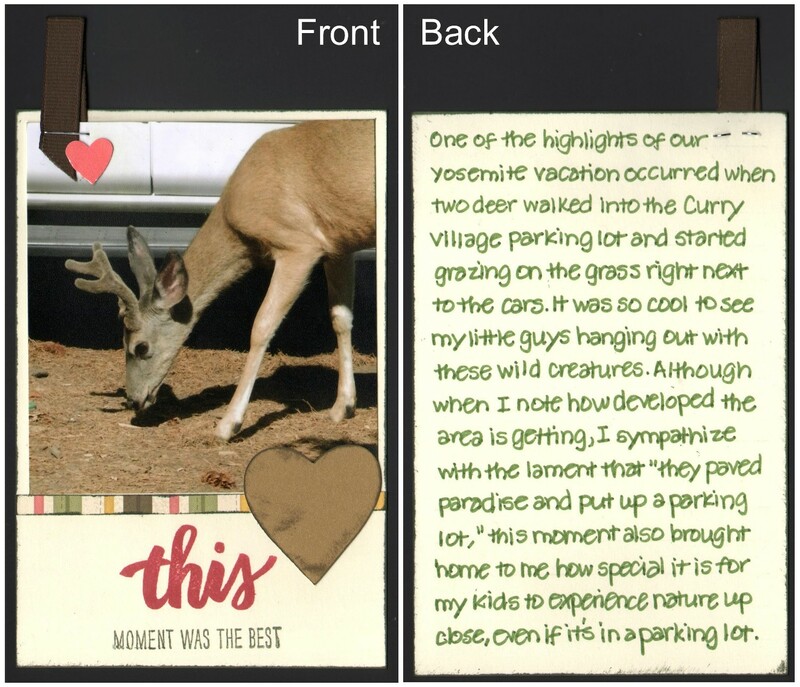 When I came to these photos of deer grazing in the parking lot at Curry Village, I knew I was onto something! I die-cut the deer and cars to create little scenes reflecting our encounter with nature in the midst of civilization. The sketch I used didn't have much space for journaling, so I included some hidden journaling in a pocket under the deer pictures on the right hand page. For a music challenge at Scrapbook.com, I used lyrics from the song Big Yellow Taxi on my journaling ("they paved paradise and put up a parking lot"), so it seemed appropriate to make one of the cars in my parking lot a taxi! Also in keeping with this theme, the horizontal lines in the title represent parking spaces. Wow, this is a fantastic layout of color and subject. 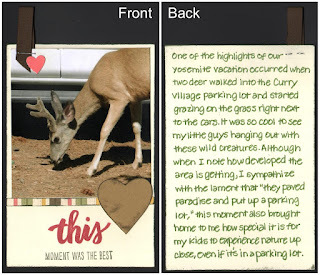 The deer is adorable, but I love how you incorporated all the other things like the cars and the colors that related to the pictures! WELL DONE! Thanks for sharing your talent at Fantabulous Cricut. This is such an awesome layout! I love how you showcased all the deer photos so beautifully! Thank you for joining us at FCCB! Such a creative way to use the sketch and the challenges! Thanks for sharing at FCCB this week! Amazing layout and photos. Love the hidden journaling idea! 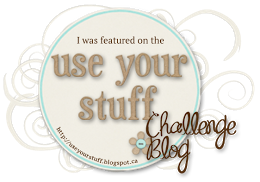 Fabulous adding the car for our challenge to your layout! 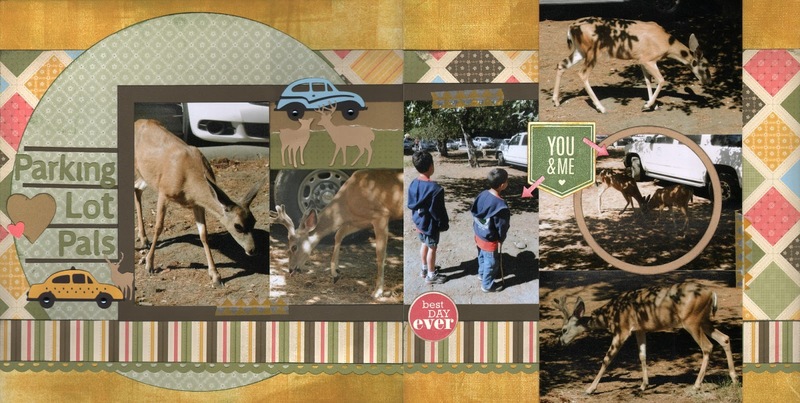 Thanks for playing along at Lasting Memories Layout Challenges!!! 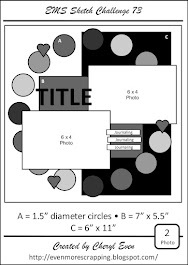 Thanks for sharing such a beautiful layout, and congrats on your win for the FCCB challenge!! Great page! I love that hidden journaling! thanks for playing at Lasting Memories!